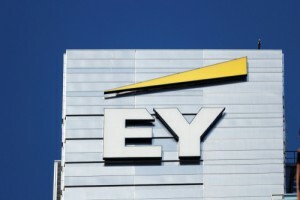 Big Four accounting firm Ernst & Young has acquired Riverview Law, an alternative legal services provider based in the United Kingdom that provides fixed-fee services to in-house legal departments. The company will be renamed EY Riverview Law, report the American Lawyer and Legal Futures. “The Big Four’s march into BigLaw territory continues,” says the American Lawyer. The acquisition means DLA Piper has sold its minority stake in the company, according to the American Lawyer. But DLA still owns part of KIM Technologies, a spinoff company that is not part of the sale to Ernst & Young. The company has a virtual assistant that uses artificial intelligence technology. Riverview Law offers services in areas such as contract management, employment and intellectual property. It touts its services as an alternative to traditional law firms. The company employs lawyers and other professionals. The acquisition is expected to be completed at the end of August.